Are you a fan of the Kentucky Derby? If so, then you may like Ram’s new Limited Kentucky Derby Edition! This truck is full of luxury, technology and capability! 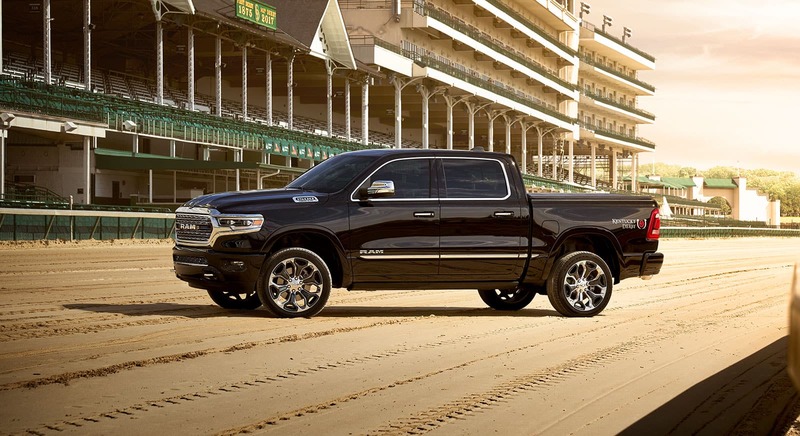 Ram is the official truck of the May 5th Kentucky Derby and Churchill Downs. The Kentucky Derby truck is based on Ram’s Limited trim. Continue reading to learn about Ram’s Limited Kentucky Derby Edition! The Kentucky Derby Edition gets genuine wood and metal trim, and premium full-leather front and rear reclining seats. 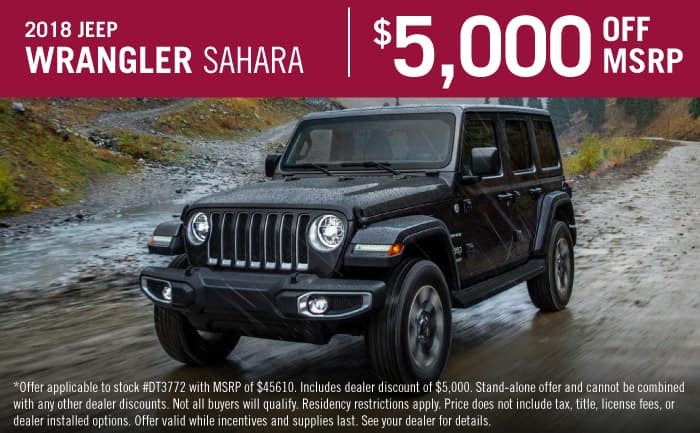 You can also expect to have four-corner auto-leveling air suspension, an exclusive Uconnect 12-inch touchscreen radio with Sirius XM 360L and navigation, blind-spot monitoring with automatic trailer detection, a trailer hitch and power-retracting running boards. Five additional colors–Patriot Blue, Max Steel, Granite Crystal, Diamond Black Crystal and Delmonico Red–are available for people to choose from for this truck. The truck’s launch will mark the Ivory White Tri Coat paint color’s introduction, and the first time a body-colored appearance package will be attainable on an all-new Ram 1500 Limited. The truck will have Kentucky Derby ‘Run for the Roses’ fender graphics. When properly equipped, the truck will be able to haul over 12,700 pounds worth of equipment. Only 2,000 units will be available. 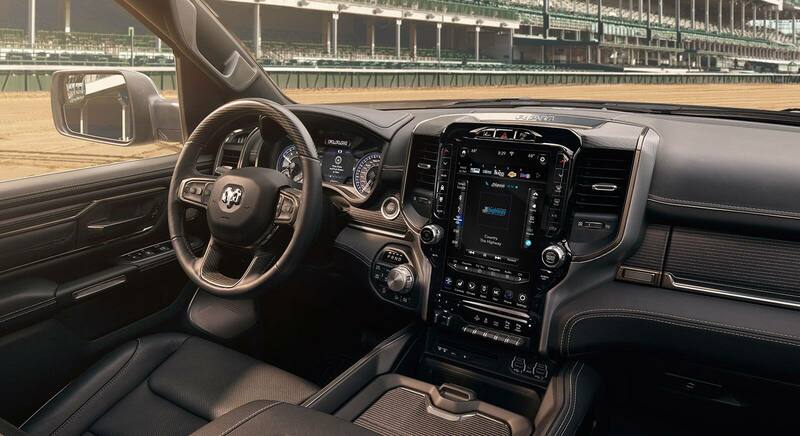 By sponsoring the Kentucky Derby and Churchill Downs, Ram will immerse fans who go to the races, and people watching the festivities on television, in a Ram Truck brand experience. People can see on-site truck displays, backcountry and trackside signage, video board integrations and on-site truck displays. Through using the hashtag #RamDerby, people can join the Kentucky Derby truck conversation. The Limited has a chrome ‘R-A-M’ badge, surrounded by a corrugated chrome mesh grille, which is unique to the Limited. The truck has standard 20-inch wheels, but 22-inch ones are optional with painted inserts. If you would like, you may have the Limited with body-colored bumpers. Body-colored fender flares and automatic power side steps are standard. Get inside the truck and you will see a segment-exclusive 100% full-grain, hand-wrapped leather dashboard. The cabin is full of real wood and aluminum accents. There is a wood upper glove box door with a ‘Limited’ badge. There is an optional 900-watt, nineteen-speaker Harman Kardon system to deliver excellent sound quality to the cabin. Ambient lighting accentuates the cabin at night to create a soothing and luxurious atmosphere for passengers. You can have either all-Black or Indigo/Light Frost leather seating. Ram launched as a stand-alone division in 2009, and has become an industry leader as a brand that produces long-lasting trucks. The brand has a distinct identity, and focuses on features that customers find to be valuable. Ram trucks have durable engines, refined interiors and overall great looks. Are you interested in getting a Ram truck? If so, contact us here at Texan Chrysler Dodge Jeep Ram today! We look forward to discussing your vehicle search right here at our dealership!